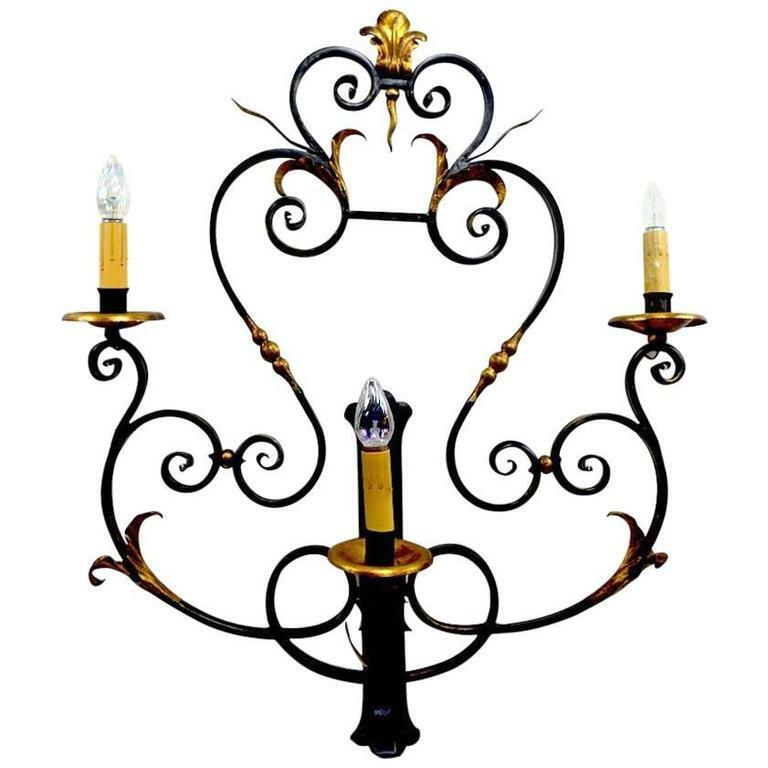 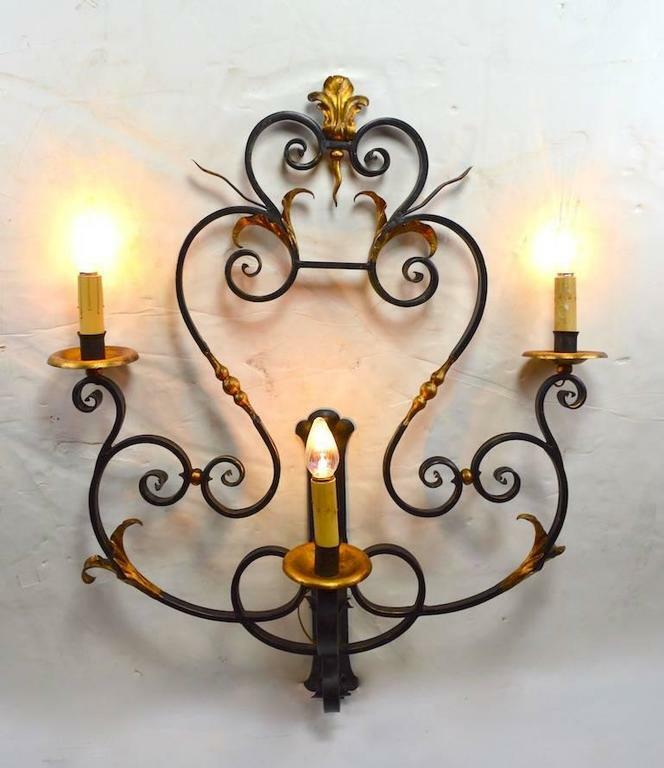 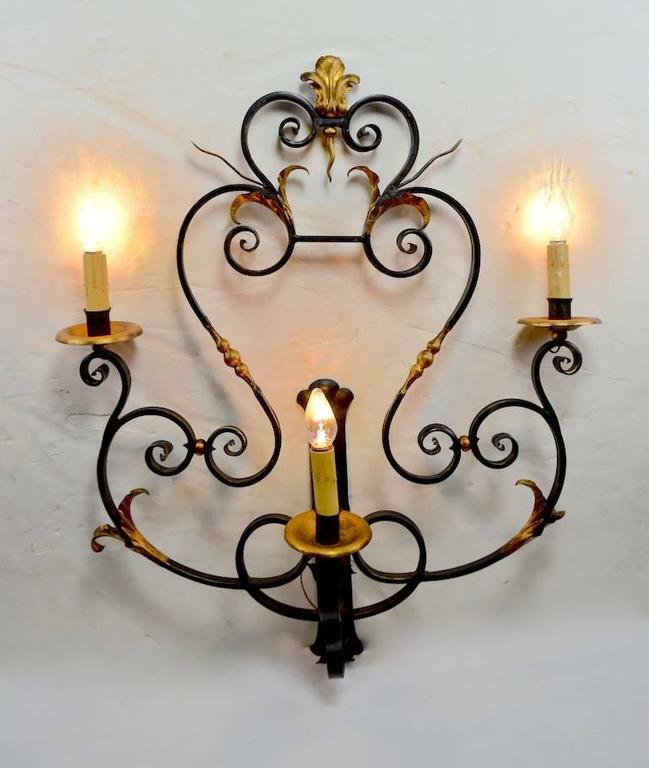 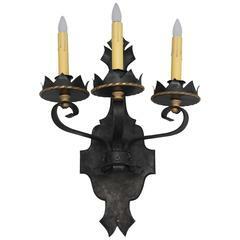 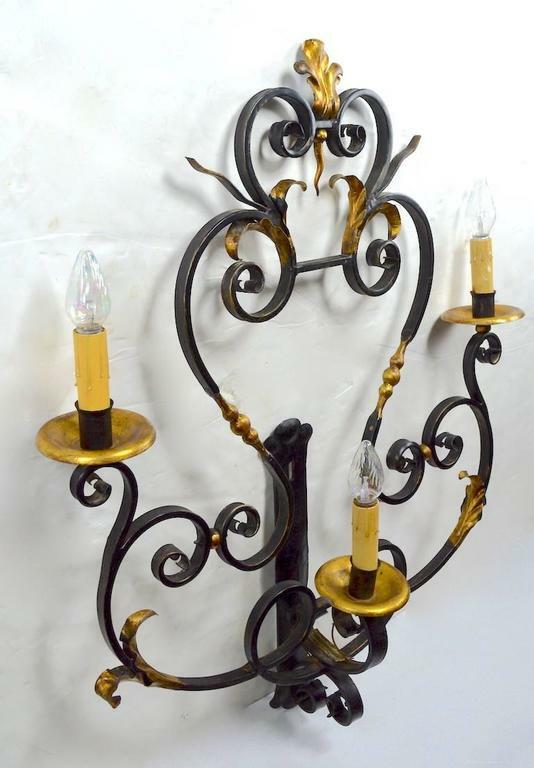 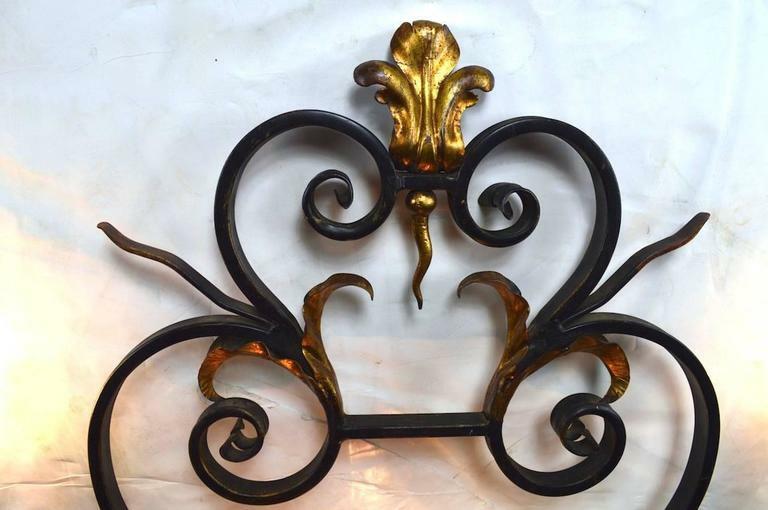 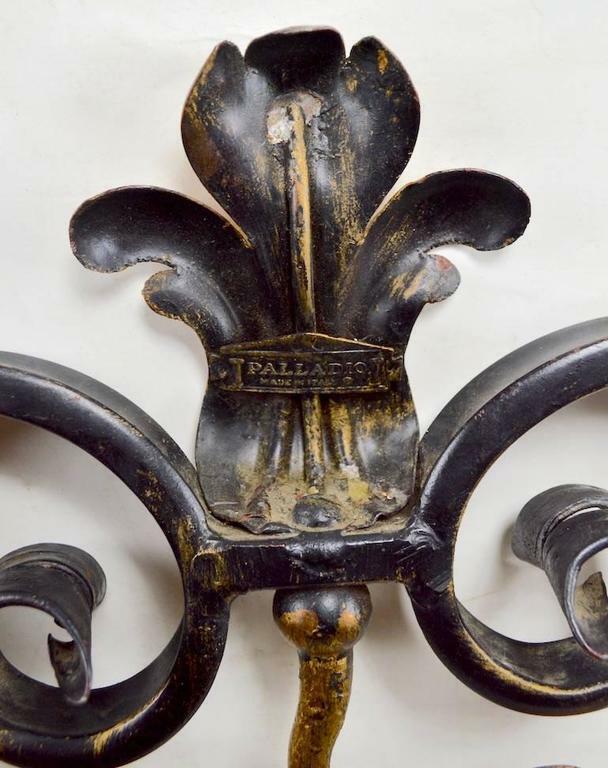 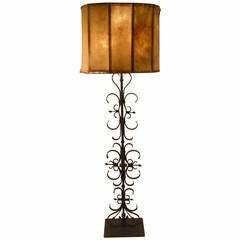 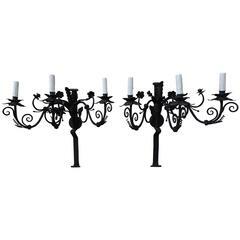 Large and decorative three-light sconce by Palladio, Italian in the Spanish style with faux gilt highlights. 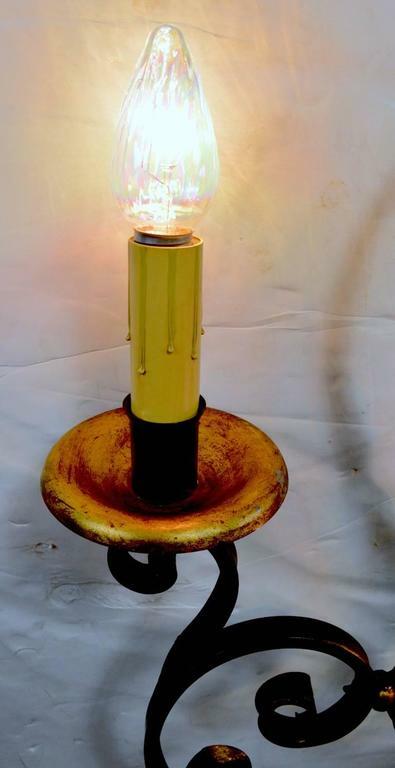 Original, clean, ready to use. 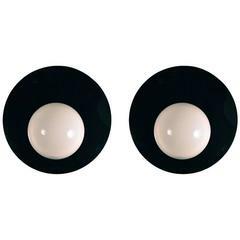 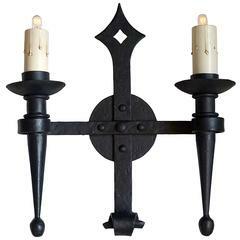 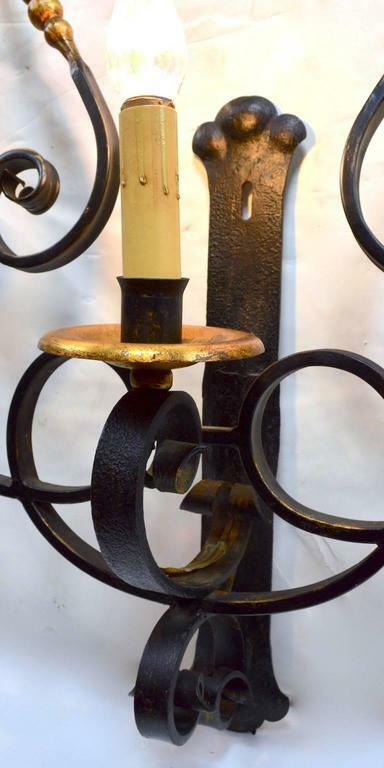 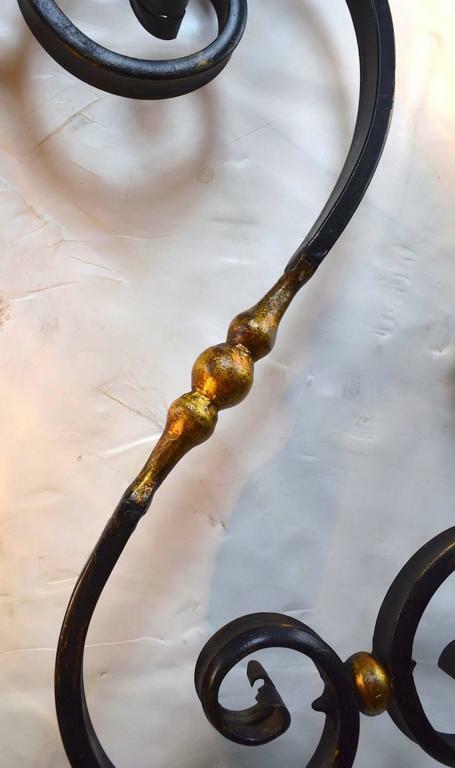 Sold and priced individually, circa 1920s single sconce. 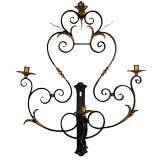 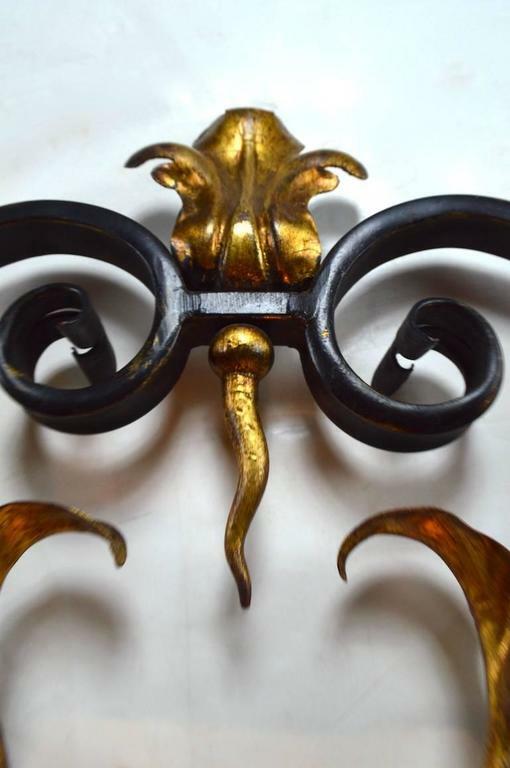 Beautiful wrought iron work.